Canada GenWeb for Kids Great site for kids doing their genealogy for school, or just to learn. Vital Records Addresses for All the Provinces Find out where to get the records you need. Genealogy Helplist-Canada Lookups by volunteers. Random Acts of Genealogical Kindness-Canada Another place for volunteer lookups. Grantbook database land settlement in New Brunswick in the period 1765-1900. CousinConnect.com Canadian Queries post yours and search others. Quebec & Eastern Townships Genealogy Research indexed over 585,000 church, cemetery, census etc, search free, copies for a fee. FM's Ship Passenger Lists Lots of ship lists onsite, plus links to thousands more, many coming into Canada. Newfoundland's Grand Banks Districts District sites. Ontario & Canadian Genealogy Resources Excellent page full of resources and records! Generations -Memorials that Live on Obituaries, genealogy, family tree, memorials, funeral homes etc. Notre-Dame-des-Neiges Cemetery, Montreal, Quebec Largest cemetery of Canada, search it's 900,000 burials. Post 1901 Canadian Census Project Addresses the issue of Canadian Parliament concealing all post-1901 census records from the public eye. Includes petitions. 1901 Census of Canada -National Archives of Canada & LDS film numbers. Index-New England Captives taken to Canada Between 1677 and 1760. Newfoundland's Grand Banks Genealogical and historical data for Newfoundland and Labrador, vitals, wills, newspapers, photos, records, excellent site! Genealogical Research Resources, St. John's, NF Where to find genealogical information in Newfoundland and how to obtain material. Lost At Sea Fishing? - It was "A WAY OF LIFE" and Lost At Sea (incl. names of those lost at sea). British Columbia Archives' Vital Events Indexes searchable historical births, deaths and marriages. Other Canadian Link Sites and Misc. Canadian Resource Page Lots of general links of interest.  Canadian Links at TweetyBirdGenealogy Very nicely organized page with lots of useful links. You are number to visit Firstmom's Genealogy Resources -Canada Page.